You Can Sing with Impact! 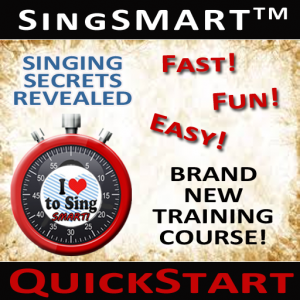 You Can Sing with Impact™ is the perfect size singing exercise program that focuses on a fun and easy way to increase your vocal skills – achieving FAST IMPROVEMENT. Appropriate for singers over nine years old and a favorite of adults too! 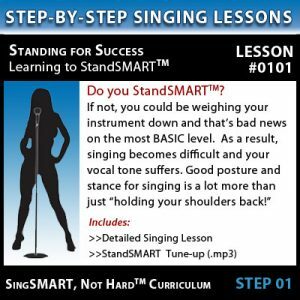 Singing exercise doesn’t have to be boring or mundane. This routine is designed by singers for singers to be entertaining AND effective. Check it out. YOU TOO can SING WITH IMPACT! Singers that do this routine three times a week have shared almost instant improvement. 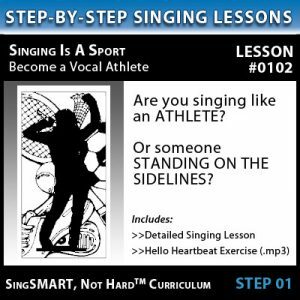 Whether you are beginner or professional singer, voice actor or speaker, musicianor karaoke performer… these singing lessons will be a sound investment made for your singing career or hobby! Try it today! Scroll up and ADD to CART.